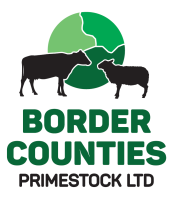 Border Counties Primestock Ltd, thought to be the first new livestock marketing co-op formed in over 20 years, was formally approved by the Financial Conduct Authority on 31 October 2016. The new group which, like each of the other member groups holds 100 shares in Farm Stock (Scotland) Ltd, will be owned by its farmer members and will be run for their advantage, providing an independent, low cost and effec-tive marketing service for all classes of sheep and cattle. The area covered by the group which has already traded significant numbers of both sheep and cattle, will include Dumfriesshire, Cumbria and Northumberland. To ensure high levels of service to group members, it will have a dedicated Farm Stock fieldsman, Guy Old, who has many years practical experience both handling stock on farm and in dealing with livestock producers.